Choose the inks that meet all your needs—from cost-effective monochrome drawings to impressive high-quality presentations. HP printing supplies and Original HP inks are designed and tested with the printer to provide crisp, clear, accurate quality. Consistent results and low-maintenance, trouble-free operation help you maintain high productivity and reduce costs. CM992A Choose the inks that meet all your needs—from cost-effective monochrome drawings to impressive high-quality presentations. 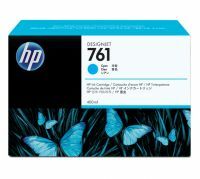 HP printing supplies and Original HP inks are designed and tested with the printer to provide crisp, clear, accurate quality. Consistent results and low-maintenance, trouble-free operation help you maintain high productivity and reduce costs. Produce crisp, accurate, cost-effective drawings. Impress with high-quality color presentations. HP supplies and Original HP inks provide low-maintenance, high-productivity printing. So you can print with ease and deliver with confidence. With Original HP inks, you get a unique combination of quality,resilience, and versatility. See consistently crisp, clear, accurate lines and vivid color—even true neutral grays—in fast-drying, smudge-resistant prints. Avoid the trial and error that costs you time with the trouble-free printing of Original HP supplies. Original HP inks are designed and tested with the printer to provide consistent results. You get crisp, clear, accurate quality with every print. Original HP printing supplies are designed to provide low maintenance printing. Alerts that let you know when ink cartridges need replacement and highvolume ink cartridges keep interruptions to a minimum. To Recieve updates and possible rewards for Hewlett Packard (HP) HP 761 400-ml Yellow Designjet Ink Cartridge please sign in. To Recieve updates and possible rewards for Printer Cartridge, Ink & Toner please sign in.